There’s just something exciting about bubbles. Sure, it’s celebratory, delicious, refreshing and talks back faintly with that fizzy effervescence. In addition, there are now more types of sparkling wines than ever—often at much lower prices than the majestic Champagnes, something to put a zing in everyone’s palate and maybe, pocket. Tastings --by the glass -- are a wonderful way to find what pleases most. Plus, Champagnes by the glass are certainly lower priced than by the bottle and pose another opportunity to discover one’s preferences, leading to that bottle for the next special occasion. Many French Quarter bars and restaurants offer happy hours and by the glass (BTG) Champagnes and sparkling wines. The following come highly recommended. 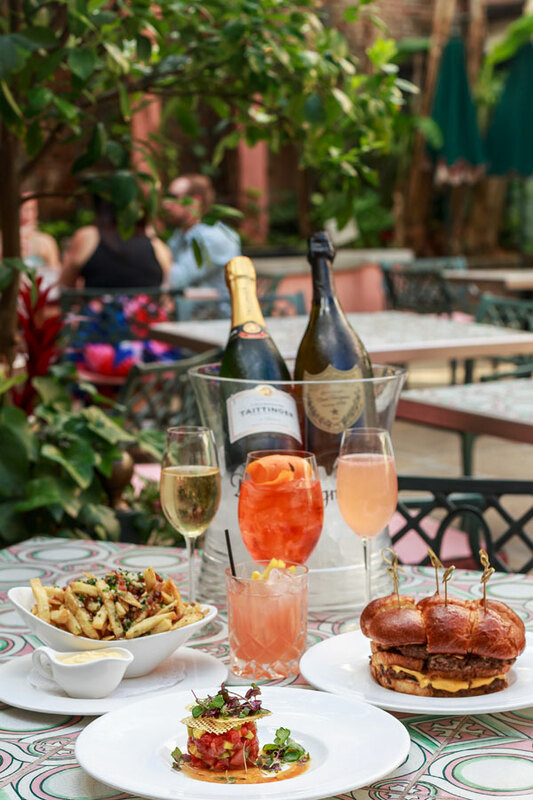 A Champagne diva, Crystal Coco Hinds, opened early last year the fantastic Effervescence, a French Quarter Champagne bar and lounge, offering a new experience in sparkling wine and small-plate dining. Located in a renovated mid1800s era Creole cottage retaining much of its historical architectural characteristics, the bar’s interior is stylishly designed and adorned with Champagne artifacts punctuated by a U-shaped central bar. A charming brick patio with a fountain is an outdoor attraction for drinking and dining. Hinds, who welcomes guests with gusto, providing the kind of hospitality New Orleans is known for, is an enthusiastic and knowledgeable hostess-owner. Opening Effervescence has been a dream throughout her life. Hinds’ wine director, Bodhi Langa, a certified sommelier, is very well-informed, having worked in fine dining restaurants and a retail wine shop in New York during and after college there. After moving to New Orleans, he worked at the upscale Ace Hotel as the wine buyer and sommelier. On the wine menu, Langa, with Hinds’ input, developed an excellent list of cellared sparkling and still wines. On the sparkling by the glass list, guests can choose between thirty-four sparkling wines, including thirteen dazzling Champagnes. Guests can enjoy a 2-½ oz. half glass or a 5 oz. full glass. Some very fine Champagnes are featured including Boizel Brut Reserve at $14 for half-glass and $28 for full and Duval-Leroy Brut Reserve at $13 for half-glass and $26 for full. 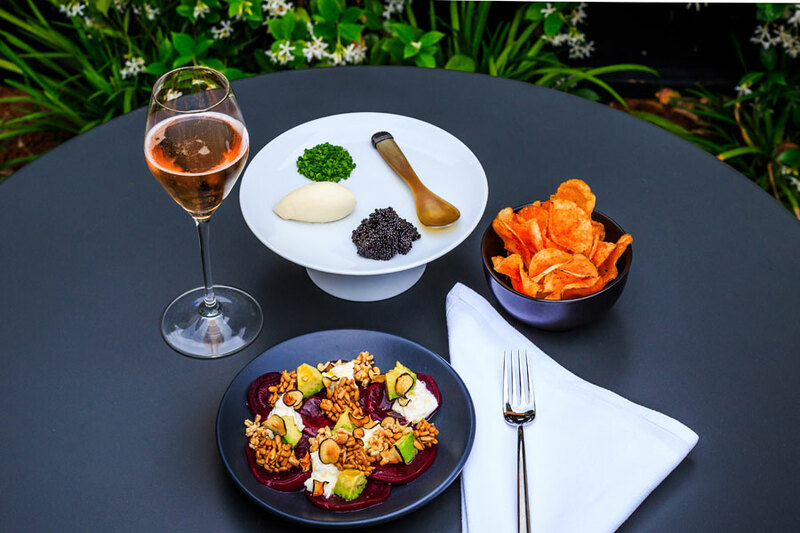 Several fine rose’ Champagnes are offered: Veuve Clicquot Brut Rose’ at $16 for half-glass and $32 for full and Billecart-Salmon Brut Rosé at $30 for half-glass and $60 for full. Many sparkling wines not often seen on BTG lists are California’s Domaine Carneros and some of England’s brand-new praise worthy sparklings, including 3 Sussex, and many more. For happy hour, the bar also offers a featured glass of wine for the day both in sparkling and still for $5. Hinds and Langa have also begun tasting classes for patrons who want to learn more about sparkling wines and get to know their own palate better. “Our palates may be different but we can come to the table and discuss it, while sipping,” he noted. Upon arrival at Patrick’s Bar Vin, just off Bourbon Street, a very different vibe takes over. It’s sectional. Initially, the iron grill gate opens into a lush, almost secluded patio, and then a step inside the doorway leads to a comfortable sitting room. Then, enter the intimate bar with stylish décor, and furnished with plush sofas, cocktail tables and cozy chairs. Guests could stop there, but just beyond the bar is a huge, covered, very French Quarter courtyard. That’s where owner and host Patrick Van Hoorebeck, AKA the “Bon Vivant,” New Orleanian and transplant from Belgium, holds lively parties. 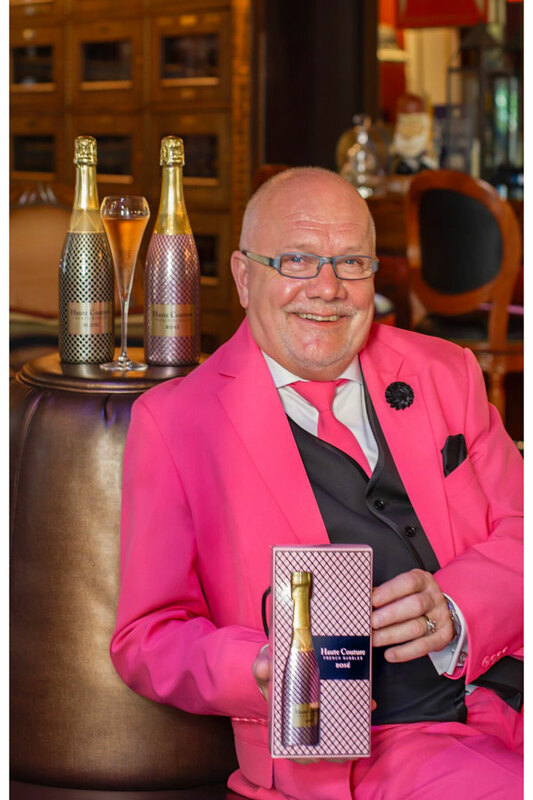 This gentleman, a Frenchman whose family has been making wine in his native France for the past 75 years, would be none other than Jean-Charles Boisset. His personal brand, JCB, can be found at Patrick’s Bar Vin among a stellar list of more than fifteen sparklings. Boisset’s latest sparkling wine, Haute Couture, is available in both blanc de blanc and rose’ BTG at $16, or 187 ml mini bottles at $17 each. Patrick’s list of more than fifteen Champagnes and sparkling wines, which often changes, features more than fifteen BTG Champagnes like Taittinger la Française and Nicolas Feuillatte. Among the other sparkling wines, JCB’s 21 Brut Blanc Crémant and his JCB 69 Brut Rose Crémant are highlights. In addition, currently “Patrick’s Best Kept Secret,” is a BTG sparkling at $7 from French winery Kraemer, a Vin Mousseaux Blanc de Blanc and Kraemer’s Brut Rose’ from the Loire Valley. “Patrick’s Kiss” is another treat: a $5 shot of Veuve Clicquot! For munchies, Patrick’s offers a cheese plate or a combination cheese and charcuterie board. World-renowned Brennan’s, from New Orleans’ “first family” of restaurants, originally came to fame with bravos for their extraordinary breakfasts. But over the years, guests found there’s much more to love: the brunches, long all-afternoon lunches, the lush courtyard, cocktails, fine wines, memorable dinners and other pleasures. 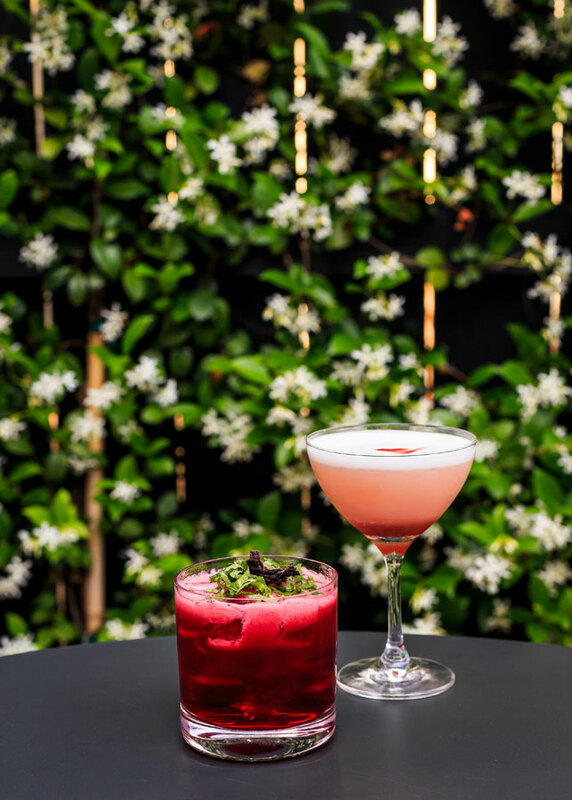 Somehow, owner Ralph Brennan and partner Terry White have even upped the ante with their new bar, The Roost, with happy hour featuring Champagne, other sparkling wines and sip-worthy cocktails from acclaimed head bartender Lu Brow. Wine manager and sommelier Braithe Tidwell presides over the amazing two-story cellar, housing more than 15,000 bottles. She is almost guaranteed to fulfill a guest’s quest for the perfect wine to accompany their choice for dinner. In the sparkling wine and Champagne category, Tidwell has over 100 selections in the cellar. Some choice offerings will be pour BTG Monday-Thursday, during happy hour 2 p.m.- 7 p.m. at The Roost Bar + Courtyard, and on Fridays from 9 a.m. – 7 p.m. in the bar, courtyard and the main dining room. The wines are usually changed from week to week. Along with BTG sparkling Argyle Brut from Oregon’s Willamette Valley, Aubry Brut Rose’ Champagne and several others, a very special offering of Champagne bottles, mostly 750 ml, are available at half-price. For example, Henriot “Souverain” Brut is priced at $85, but during Happy Hour, the price is $40. Taittinger la Française Brut 750 ml sells for $55. A half bottle of Billecart Salmon Brut Rose’ goes for $50. with a half bottle of Gosset Brut fetching $30. Thirty-dollars also earns a full bottle of Montmartre Sparkling Rose’. Hungry? James Beard Foundation recently recognized Executive Chef Slade Rushing who has all the answers with bar snacks like BBQ shrimp pot stickers, parmesan pommes frites with bacon and hollandaise, Parker House sliders with beef and bacon and griddled onions;, tuna and watermelon salad, a cheese plate and more. In addition, a Champagne sabering is enacted in the Courtyard every Friday at 5 p.m. There is no more dramatic way to open a bottle of bubbly. The family-owned Hotel Monteleone is revered for its 1886 Beaux Arts architectural style and its rotating Carousel Bar and lounge. A historic landmark ad evidenced by their recognition as one of the Historic Hotels of America, the hotel retains its awesome aura and has taken on a modern flair as while also exceeding the pleasures and wishes of its frequent guests from around the world. Over the years, expansions, upgrades, dining destinations, meeting and ball rooms and a sky terrace with a heated rooftop pool and bar were added. Most recently, Criollo, a new bar, lounge and restaurant was opened, conjoined with the Carousel’s bar and lounge on the first floor. Criollo, the Spanish word for Creole, was chosen to represent the blending of cultures reflected in the city’s heritage and cuisine. Executive Chef Joseph Maynard bases Criollo’s menu on seasonal ingredients from Louisiana’s bounty on land and sea and inspired by traditional favorites and current tastes. Criollo serves the hotel’s amazing celebratory cocktails and also offers a superb wine list with quite a few exciting wines by the glass, especially when it comes to bubbles. Other sparkling wines include, Val d’ Oca, a Monteleone Select Prosecco, from Veneto, Italy, for $12 BTG. Champagne gems BTG offered are Moët et Chandon Brut Imperial for $17 and Perrier Jouët Grand Brut for $19. Both the Carousel and the Criollo offer some nifty bar bites such as Seafood Okra Gumbo, Blue Crab and Crawfish Beignets, Shrimp Pot Stickers, Mini Monte Po Boys Smoked Beef Brisket with coleslaw and a Cuban Sammy with braised pork, ham dill pickles, Swiss cheese and brown mustard, serving from from 11:30 a.m. to 9 p.m.